If your looking for a good work out or a shorter walk, Point Howard has the perfect walk for you. 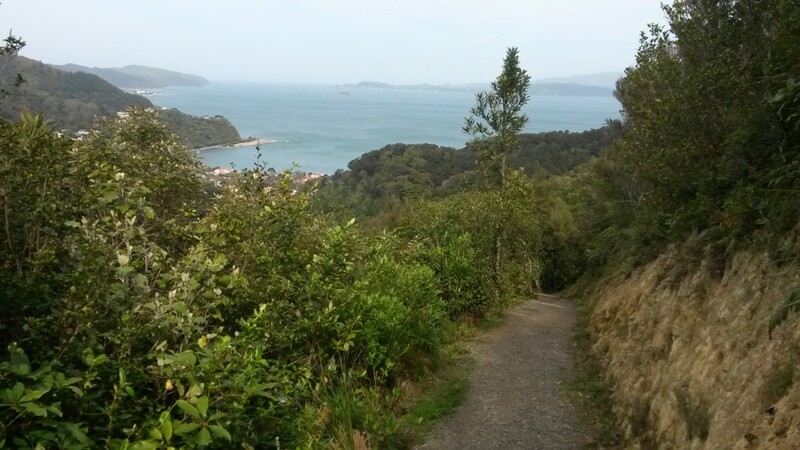 This 60 to 90 minute walk climbs and descends through native bush, offering great views of the Wellington Harbour. A good lunch time or evening walk. For the fit and experienced walker this would be walked in under an hour. To print the above map, click on mapometer.com at the top of the map. The printing and PDF option at the bottom of this page will print or download the post except the maps. Once you’ve clicked on mapometer, the link will take you to the printing or export option. If mapometer asks for your location decline, otherwise it will take you to your location and not the above map. Remember this is only a guide of the route and if you require more detail, click on the map below, this can also be printed. The track starts at the end of Cheviot Road, Lowry Bay. There’s no car park so parking at the road end is limited. If using public transport, the bus stop is near Cheviot Road on Marine Drive…it’s a short walk of 5 to 10 minutes. Once on the track there’s another short walk to the intersection of the Ngumatau and Cheviot Tracks. Take the Ngumatau road track, this will take 15 to 20 minutes to reach. Walk along the road and turn into Point Howard road, follow to the top, 10 minutes. The track will restart on the right side of the road end, follow the track for another 30 minutes turning right onto the Cheviot road track. Descent back to the starting point on Cheviot road, 20 to 30 minutes. This track can be walked in either direction. Enjoy your walk and please leave any comments below. I have always loved New Zealand and had a desire to visit. Maybe one of these days I will be able to.This sounds like a lovely walk, and thank you for providing a map. 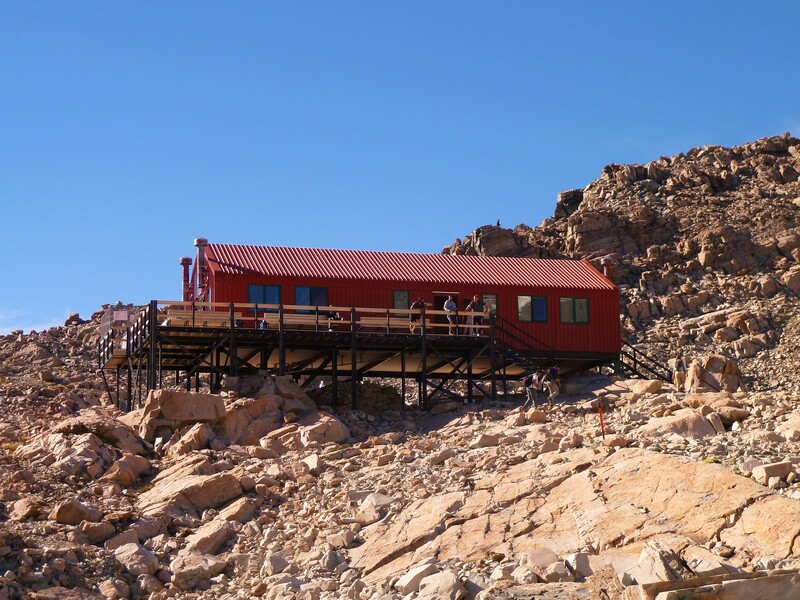 Does that website provide maps for every hike? Thanks for visiting my website. The maps I use can be used for every hiking trail in New Zealand. I use Mapometer.com to mark out the route I’m describing. The satellite feature gives the reader a visual of the route plus the streets and roads to get to the start of the trail. The other map is more detailed and one that hikers and trampers in New Zealand would use on the trail. http://www.topomap.co.nz click on the region in New Zealand you want to hike and keep clicking until you get what you want. Once you’ve found it, there are options to print or download. You can even buy the hard copy of the map if you prefer. What did you mean for an “experienced walker” it would take under an hour? Is this simply referring to someone who walks at a brisk pace consistently? Great question and thanks for your comments. What I was meaning…someone who walks regularly and has a good level of fitness, would walk this in under an hour. So yes a brisk pace consistently is what would be needed. how long does it take if an unexperienced walker or one who makes it slow walks the hike? I’m not that experienced and need usually a little longer. Thanks for visiting my website. You don’t need much experience to do this walk…a little fitness will definitely help, the tracks are well sign posted and easy to follow. Someone with average fitness should walk this in 90 minutes. Hi, very good read. My friend is a Kiwi and he’s always telling me how beautiful New Zealand is and I should really go for a visit. This certainly makes me want to visit that much more. I think walking is one of the best ways to see new places. When I travelled through Europe I would always take myself on a walking tour of the local neighbourhood. It’s amazing how you can really get a feel for a place on foot. Great post keep up the good work! Thanks for your comments…walking is definitely a great way to explore new places. I guess here in New Zealand we are blessed with so much beauty…hope you manage to get here one day, happy travels.